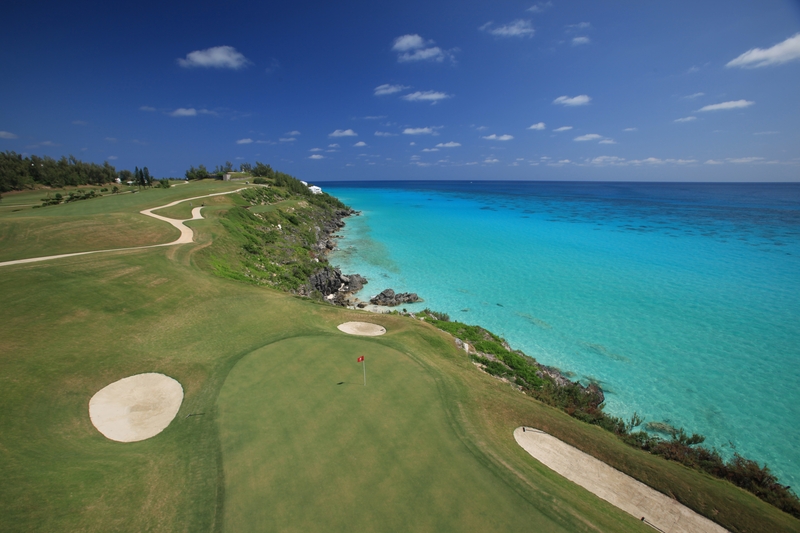 Bermuda is a gorgeous place for a relaxing holiday and it is also a great place for golf, with 9 courses on these tiny islands in the middle of the Atlantic. 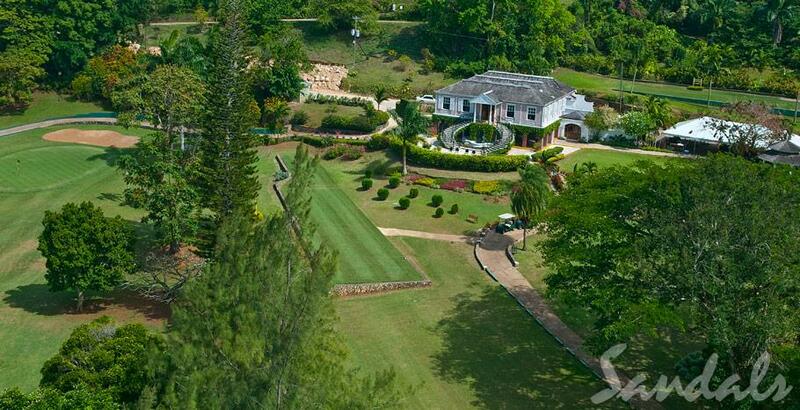 We are very pleased to offer this holiday which includes a few days to settle in and play a practice round or do some sightseeing, before a fun mixed couples golf tournament which starts with a Rum Swizzle party on the evening of 31st March 2014. These tournaments are very popular and you will be staying at the Pompano Beach Club which is right next door to Port Royal Golf Course. This is where the PGA Grand Slam of Golf will be played on 14th to 16th October 2013! 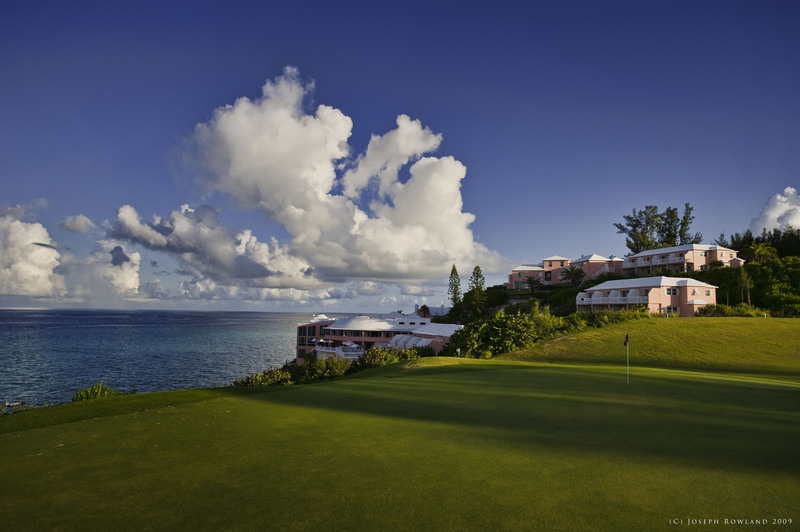 Port Royal is one of the courses that you will be playing so just think about it! You could be there, as you watch Justin Rose, Padraig Harrington, Adam Scott and Jason Dufner battle it out for the title! Prices are from £2329 per person for this 11 night holiday. Included are 10 nights at the Pompano Beach Club on a half-board basis with return economy flights from London Gatwick, transfers and golf tournament with green fees, buggies, Rum Swizzle and final night cocktail parties, prize ceremony and golf club carriage on the flights. Please note that prices can vary over time and contact us for an up-to-date price. Why not upgrade to premium economy and travel in style for an additional £399 per person. If you are interested in business class or first class, please ask us about these upgrade prices. For additional nights or different dates, please enquire about prices and availability. The golf tournament is from 31st March to 6th April 2014, so you should be at the hotel by 30th March and the earliest you should depart is 6th April. For more information and reservations, please call 01276 514664 or email info@fairwaves.co.uk . Also, tell your friends and fellow golfers about this tournament as we are sure that this will be a very popular holiday. 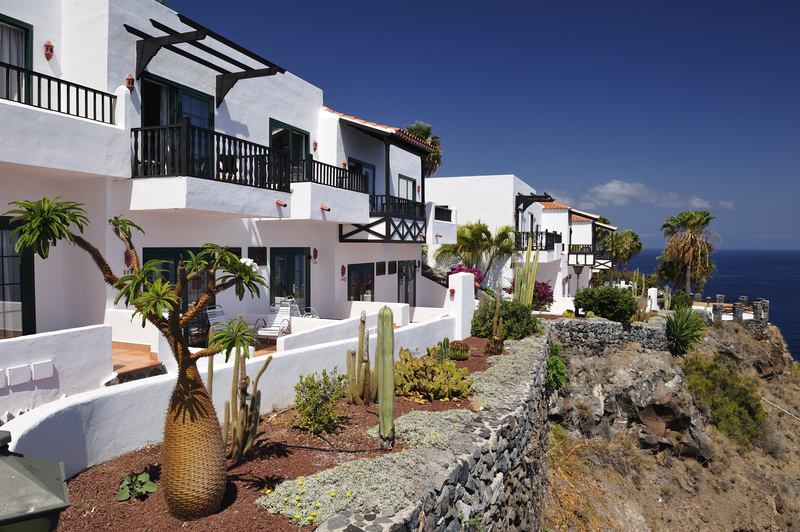 STAY and PLAY GOLF on La Gomera, then CRUISE to the Canary Islands, Madeira and Morocco, 15 nights, 13th February 2013, from only £1699 per golfer! Next February, you could have 5 nights staying in a wonderful hotel right next to the superb golf course, Tecina Golf, on La Gomera! Then, you go on a cruise for 10 nights on board Braemar, sailing from the nearby island of Tenerife. For winter sunshine and the opportunity to swing a club in the warmth, this takes a lot of beating, and we have some excellent pricing! Fly from London Gatwick to Tenerife on Thursday 13th February 2014. 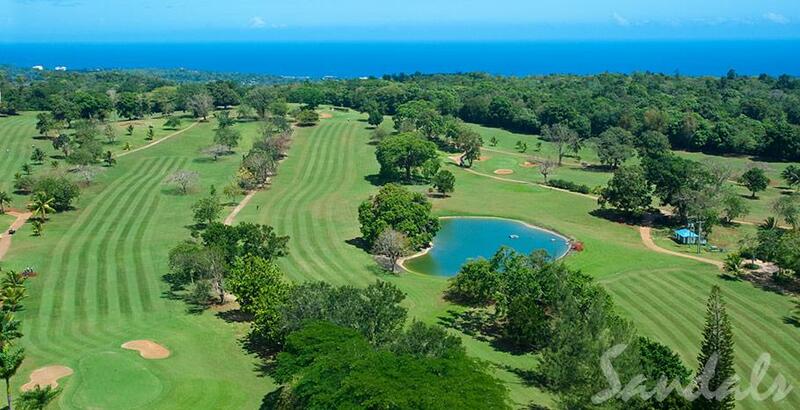 Play four rounds of golf – the golf course Tecina Golf is on your doorstep! On Tuesday 18th Feburary, transfer to Santa Cruz, the capital of Tenerife, for the start of your 10-night cruise on Braemar. The cruise itinerary is: San Sebastion (La Gomera), La Estaca (El Hierro), Santa Cruz (La Palma), Funchal (Madeira), Agadir (Morocco), Arrecife (Lanzarote). The ship is in Madeira overnight so there is the possibility of additional golf, subject to course availability. On Friday 28th February 2014, Braemar returns to Tenerife for your flight home to London Gatwick. 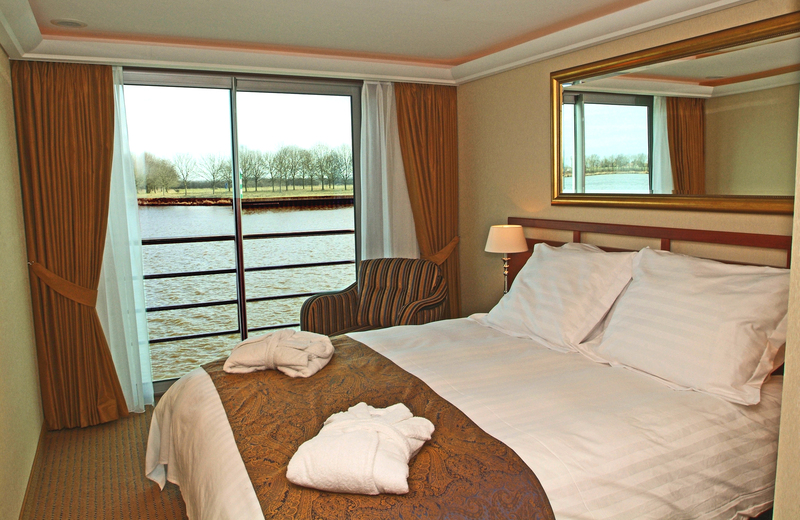 Suites and other grades of accommodation on the ship are available. Please ask us for further pricing. Prices are also available for non-golfers – please ask us for details. 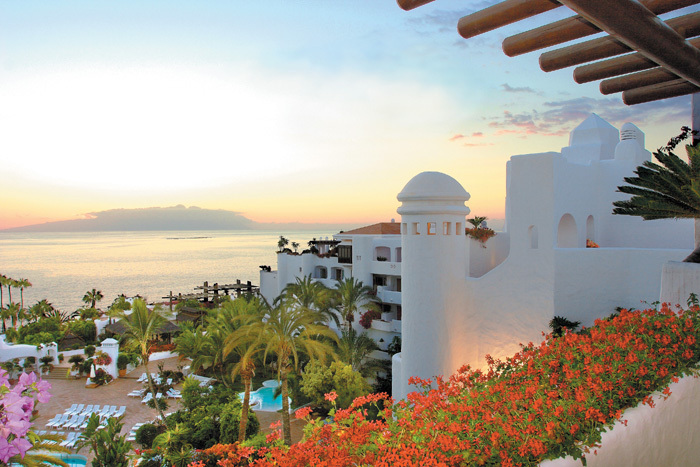 Alternative dates for a stay in La Gomera with other cruise itineraries sailing from Tenerife are available, as are flights from other UK airports. Please enquire about these. We can also offer the Hotel Jardin Tecina, with or without golf, for different durations, tailor-made to suit your requirements. Simply ask us for pricing by calling 01276 514664 or email info@fairwaves.co.uk . The above prices are correct as of 3 October 2013 and are based on the lowest cruise cost available for each particular grade of accommodation and your cabin number is advised on your cruise ticket. Please ask us for prices if you would like to choose a particular cabin. Also, on the cruise, there is an additional £20 per person if you want to choose your dining time and an optional upgrade of £100 per person for the drinks package which gives you selected beers, wines, spirits and soft drinks. STAY, PLAY GOLF and CRUISE to the Canary Islands, Madeira and Morocco, 15 nights, 13th February 2013, from £1919 per golfer! Here is a super getaway for next winter which gets you to the sunshine and combines some excellent golf in Tenerife followed by a 10-night cruise on Fred. Olsen’s Braemar. This cruise ship is a delightful vessel and perfect for cruising in warmer waters with plenty of outside space. Fly to from London Gatwick to Tenerife on Thursday 13th Feburary 2014. 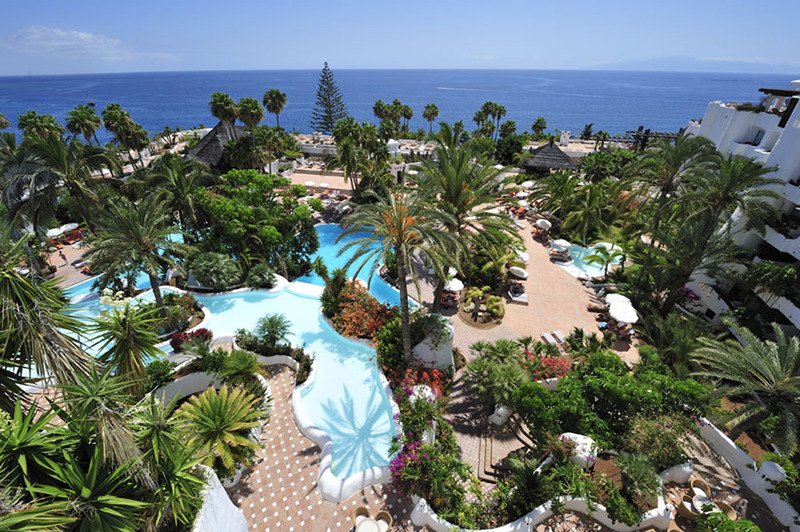 Stay for 5 nights at the Hotel Jardin Tropical in Costa Adeje, Tenerife which is a lovely superior 4 star hotel. 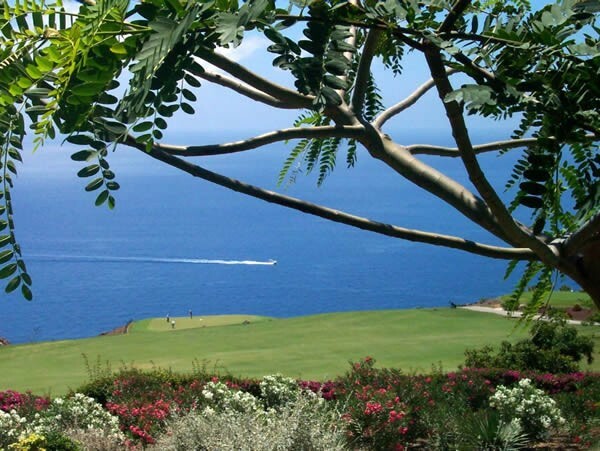 Play four rounds of golf on any of these great courses: Abama, Las Americas, Golf Costa Adeje, Golf del Sur, Amarilla Golf, Buenavista and Tecina Golf (on La Gomera). On Friday 28th February 2014, Braemar returns to Tenerife for your flight home. Alternative dates for a stay in Tenerife with other cruise itineraries sailing from Tenerife are available, as are flights from other UK airports. Please enquire about these. Please note that transfers between the hotel and golf courses are not included as taxis can easily be arranged at times which suit you best. Only one round of golf is allowed at each course. Prices are correct as of September 2013 and are based on the lowest cruise cost available for each particular grade of accommodation and your cabin number is advised on your cruise ticket. Please ask us for prices if you would like to choose a particular cabin. Also, on the cruise, there is an additional £20 per person if you want to choose your dining time and an optional upgrade of £100 per person for the drinks package which gives you selected beers, wines, spirits and soft drinks. In the hotel, for an additional £57.50 per person, you can upgrade to a garden view room. Other upgrades options are available for the hotel stay. We can also offer Hotel Jardin Tropical, with or without golf, for different durations. Please call 01276 514664 or email info@fairwaves.co.uk for details and pricing. 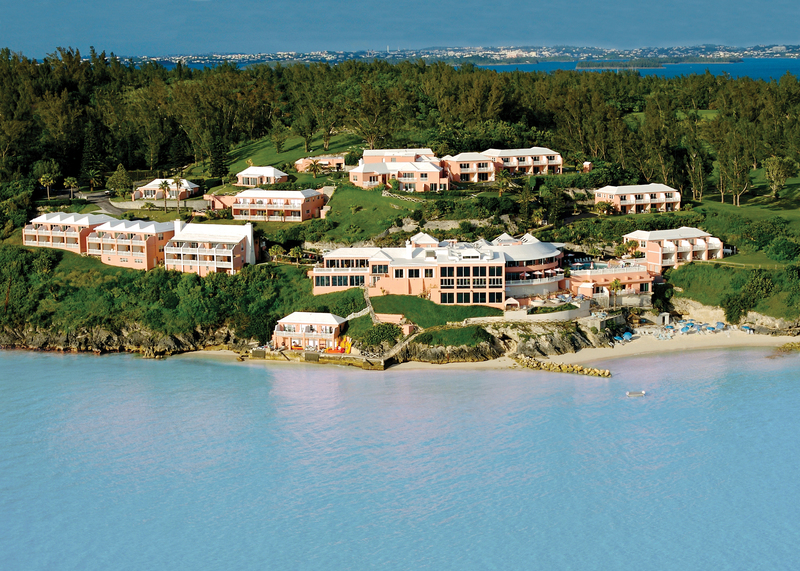 Stay in luxury at Sandals Grande Riviera Beach and Villa Golf Resort – SPECIAL OFFER! These last few weeks are a reminder of how wonderful it is to play golf in sunshine and warmth! This is a super way of swinging freely in the colder months! 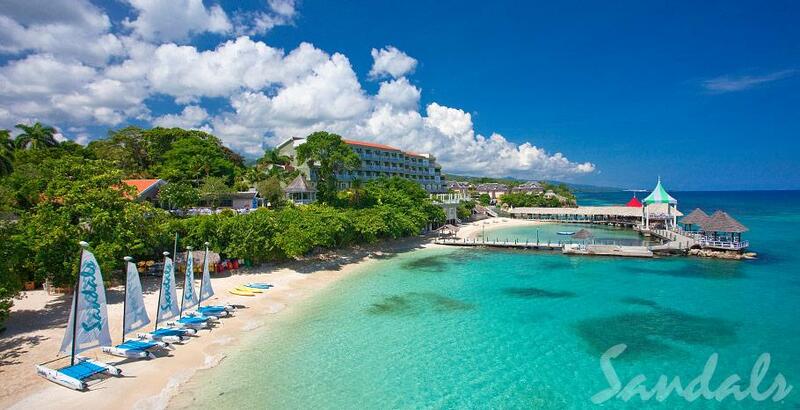 Here is a fabulous golf holiday at the Sandals Grande Riviera Beach and Villa Golf Resort in Ocho Rios, Jamaica. This all-inclusive resort offers total luxury and, for golfers, you will be in paradise with unlimited complimentary green fees and free transfers to and from the nearby Sandals Golf and Country Club! For a one-week holiday, 3rd November 2013, flying from London Gatwick to Montego Bay with Virgin Atlantic, staying in a Butler Village Poolside Villa Suite, we are pleased to offer a special price of: £1673 per person! As implied, you get your own butler at the resort and golf clubs are carried free on the flights! Longer stays are available of course! Please ask for pricing. Also, if early November doesn’t suit you, other dates with great prices are available – please email info@fairwaves.co.uk or call 01276 25511. There are some small additional costs at the golf course. For more information and reservations, please call 01276 514664 or email info@fairwaves.co.uk. Also, please tell your friends and fellow golfers about this as we are sure it will be a very popular holiday. 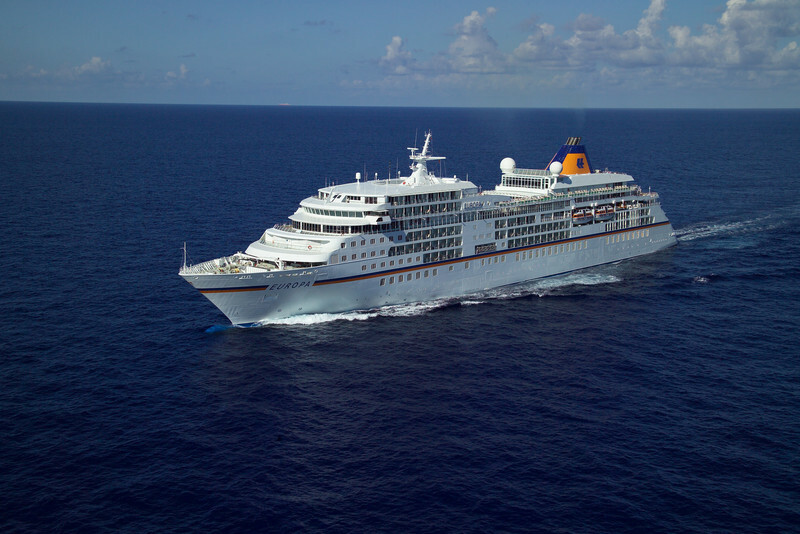 GOLF CRUISE on board MS Europa, the World’s Best Ship: 19th to 30th November 2013 – SPECIAL OFFER! The MS Europa is rated as the best cruise ship in the world – or, should I say yacht, as she has more the style of a yacht! She consistently receives this top award because of the fine attention to detail and service and is the only cruise ship with the title ‘5-stars plus’ by the Berlitz Cruise Guide. She is the first ‘all-suites’ cruise ship and there is the largest space per passenger on board, as well as the highest staff/passenger ratios (with 280 staff for a maximum of 408 guests). If you are looking for a getaway with some golf in November, here is a wonderful opportunity to cruise from Nice in France to Madeira and play golf four times – the golf package is £1045 per person. You could also play another couple of rounds of golf at extra cost. The golf facilities on board are superb, with a golf simulator, golf nets and swing analysis equipment and there will be a golf professional on board. They are serious about golf on this ship! Prices are from £2580 per person for the cruise only. If you are also a MUSIC LOVER, this is an Ocean Sun Festival cruise and there will be classical musicians on board holding concerts which will be a remarkable experience. MORE DETAILS ABOUT THIS CRUISE, the golf and the music concerts and musicians are available. Simply ask us! If you wanted to stay on in Madeira – or have a few days in Nice before the cruise – we can organise that for you. To find out more about this superb cruise, and for reservations, please call 01276 25511 or email info@fairwaves.co.uk. BRAND NEW LUXURY SHIP – GOLF CRUISES in the MEDITERRANEAN, the MIDDLE EAST and the FAR EAST! This May, a brand new ship begins her first cruise and, throughout the summer, we are delighted to offer golf cruises in the Mediterranean on board this superb vessel. The cruises are 7 or 14 days and there are various itineraries between 25th May and 2nd November 2013. Prices are from £2640 per person and golf packages are at extra cost, starting at £686 per person. Golf professionals will be on board and they will offer coaching and mentoring so that, all in all, your holiday will be an unforgettable experience. Here is an impression of what the ship will look like. She will be the Europa 2, sister ship of the Europa which, every year, is rated as the best cruise ship in the world! 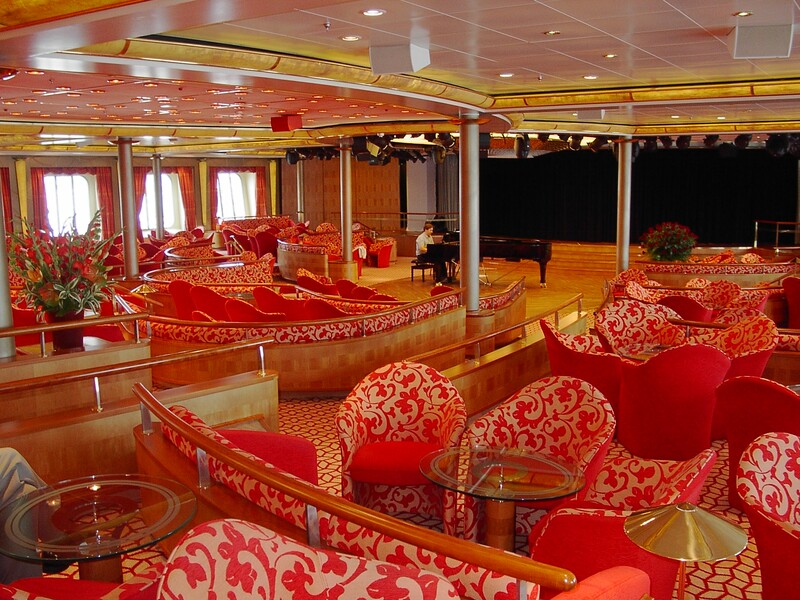 More cruises in the Mediterranean are available during September and October – please look here for the ‘golf and cruise’ logo: Golf cruise summary, Mediterranean, Sep-Oct 2013. In November, there are golf cruises in the Middle East, doing round-trips from Dubai – please look here for the ‘golf and cruise’ logo: Golf cruise summary, Middle East, Nov-Dec 2013 . PLEASE ASK US FOR MORE DETAILS on any of these cruises. For more information and reservations, please call 01276 25511 or email info@fairwaves.co.uk. 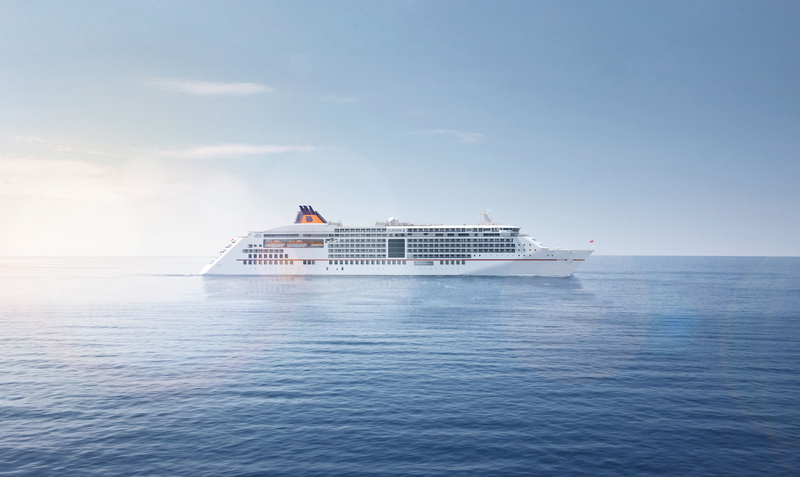 Here is a cruise with a difference! 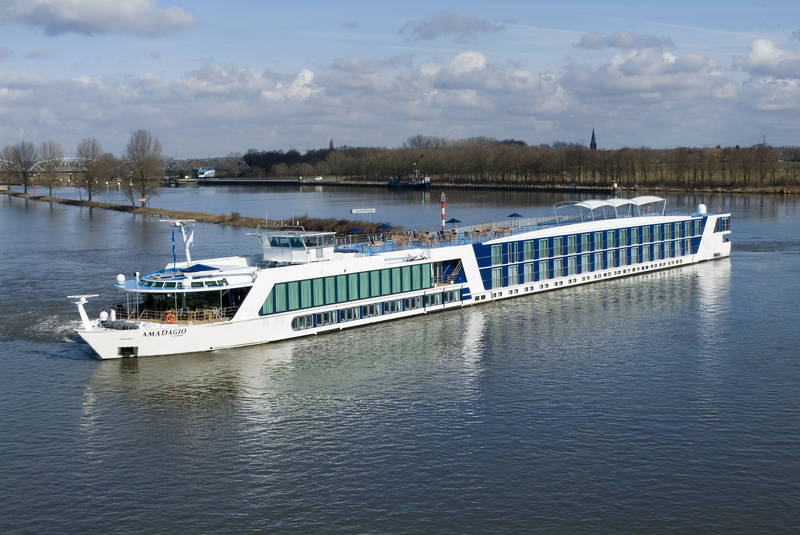 We are very pleased to offer this golf-themed luxury river cruise with AmaWaterways on board the AmaDagio. Golf and wine tasting and sunshine. Sounds wonderful! This is the AmaDagio and a standard cabin on board this lovely vessel. Many extras are included such as daily excursions and tours and free-flowing French wine, beer and soft drinks with every dinner. ** Other regional departures are subject to availability. For more information and for reservations, please call 01276 25511 or email info@fairwaves.co.uk. Also, please tell your friends and fellow golfers about this holiday with a difference!